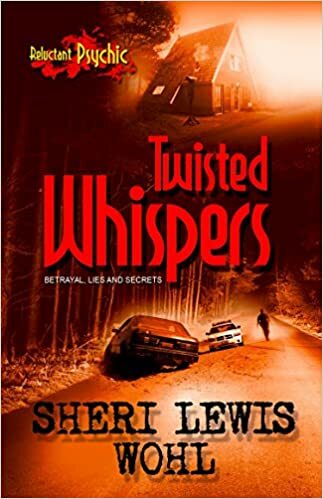 Twisted Whispers by Sheri Lewis Wohl is the second in a series following Lorna Dutton, the reluctant psychic. Reading the first book in the series is definitely not a requirement. Although, it will help you understand some of the character’s background information. Thea Lynch is looking for her missing twin sister, Alida. Alida went to work one day and vanished. Thea is understandably distraught and turns to the sheriff’s department and her childhood best friend Lorna for help. While Lorna is not a fan of her new ability to see visions, she can’t tell Thea no. Deputy Sheriff, Katie Carlisle, takes Alida’s disappearance very seriously. She may even be the only one in the sheriff’s department that does. To make a missing person’s case even more difficult, Katie is undeniably attracted to Thea. While I thought the first book in this series was okay, and I did have higher hopes for the second. I must say I was let down. This story drags like an old mule. The repetitiveness of thoughts and feelings by the main’s got on my nerves. I really struggled to get through it. 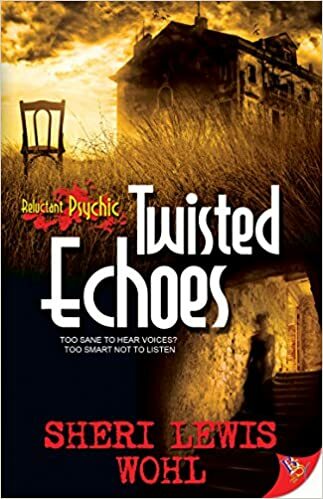 Twisted Echoes by Sheri Lewis Wohl is a solid, well written book. This is a tale of the supernatural with a side of love. This book will definitely grab your attention from the beginning. Lorna Dutton has inherited her Aunt Bea’s glorious Victorian home on the western coast of Washington. Lorna takes this gift and runs. This is a chance for her to escape. You see, Lorna, has had her heart broken by her ex. The love she thought was going to last forever didn’t hold up, and her ex, Anna, was really having an affair for quite some time. That has to sting! So Lorna high tails it to her new home, leaving Spokane and her past behind. What she gets is visions of two ghosts, who cannot rest until Lorna finds out the truth of their deaths. The other main character is Renee Austin. Renee is the daughter of Aunt Bea’s housekeeper, Jolene. She grew up in the house Lorna has now inherited, and now she must return to her childhood home after losing her Seattle based business and home to a devastating fire. By the way, Renee sees people’s auras, and what she sees in Lorna’s has her convinced that she is someone special. There is a myriad of sub-characters in this story as well. I felt at times they were given too much attention. These characters, especially Lorna’s brother, detracted from the time the author could have spent with Lorna and Renee together establishing their bond. I liked the book, I enjoyed the paranormal aspect, but I wasn’t completely sold on the love established by the two mains. It seemed rushed in my opinion. With this being said, I would still read the next in the series!